King Arthur is a legendary British leader of the late 5th and early 6th centuries, who, according to medieval histories and romances, led the defence of Britain against Saxon invaders in the early 6th century. The details of Arthur's story are mainly composed of folklore and literary invention, and the roles of historical figures who might have provided the basis for some of these legends are debated and disputed by modern historians. It seems some of the drops sparkle, Pelly. Some of them do sparkle! Ready my knights for battle. They will ride with their king once more. I have lived through others for far too long. Lancelot carried my honor, and Guenevere, my guilt. Mordred bears my sins. My knights have fought my causes. Now, my brother, I shall be... king. One day, a King will come, and the Sword will rise... again. Nay — God my Christ — I pass but shall not die. O merciful God, I have such need of Your mercy now. Not for myself, but for my knights, for this is truly their hour of need. Deliver them from their trials ahead and I will pay You a thousand fold with any sacrifice You ask of me. And if in Your wisdom, You should determine that sacrifice must be my life for theirs; so that they can once again taste the freedom that is so long been denied to them, I will gladly make that covenant. My death will have a purpose. I ask no more than that. It was Arthur the noblest, as I have heard tell. Just because you can't understand something, it doesn't mean it's wrong! I'm in an awful pickle! I'm King! At that time, the Saxons grew strong by virtue of their large number and increased in power in Britain. 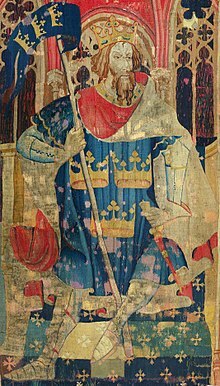 Hengist having died, however, his son Octha crossed from the northern part of Britain to the kingdom of Kent and from him are descended the kings of Kent. Then Arthur along with the kings of Britain fought against them in those days, but Arthur himself was the military commander [dux bellorum]. His first battle was at the mouth of the river which is called Glein. His second, third, fourth, and fifth battles were above another river which is called Dubglas and is in the region of Linnuis. The sixth battle was above the river which is called Bassas. The seventh battle was in the forest of Celidon, that is Cat Coit Celidon. The eighth battle was at the fortress of Guinnion, in which Arthur carried the image of holy Mary ever virgin on his shoulders; and the pagans were put to flight on that day. And through the power of our Lord Jesus Christ and through the power of the blessed Virgin Mary his mother there was great slaughter among them. The ninth battle was waged in the City of the Legion. The tenth battle was waged on the banks of a river which is called Tribruit. The eleventh battle was fought on the mountain which is called Agnet. The twelfth battle was on Mount Badon in which there fell in one day 960 men from one charge by Arthur; and no one struck them down except Arthur himself, and in all the wars he emerged as victor. My father told me great tales of you. … Fairy tales. The kind you hear about people so brave, so selfless, that they can't be real. Arthur and his knights. A leader both Briton and Roman. For two hundred years knights have fought and died for a land not our own. But on that day at Badon Hill, all who fought put our lives in service of a greater cause: Freedom. And as for the knights who gave their lives, their deaths were cause for neither mourning nor sadness. For they live forever, their names and deeds handed down from father to son, mother to daughter, in the legends of King Arthur and his knights. We needs must love the highest when we see it. Whoso Pulleth Out the Sword of the Stone and Anvil, is Rightwise King Born of All England.